A New York Notary Public refers to any person who is commissioned by the Secretary of State of New York. 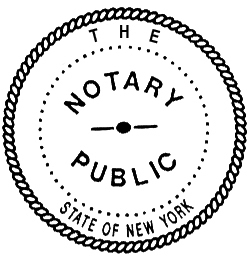 The notary public commissioning enables the notary public to perform notarial acts, listed below, in the New York’s county of residence or where the business is located wherein the notary public renders notarial, legal, and other related services. Any other acts authorized by the Licensing Division Services of the New York State Department and the Secretary of State of New York. Who can be licensed as notary public? Nonresidents other than attorneys maintaining offices or places of businesses in New York. Why Need of New York Notary Public? The value of a New York Notary Public cannot be overemphasized. The role is to acknowledge or witness the signing of the document or instrument by the person personally known or identified by the same through competent evidence of identity. For more insights about the services provided by the New York Notary Public, click here. You can also obtain a comprehensive information on the Notary Public License Law at the website of the Licensing Division Services of the New York State Department. Now that you have an array of the New York Notary Public’s information and in-view of the necessity of the notary public in any county of New York for your personal or corporate needs. Just type the phrase New York Notary Public, if you do not know of any notary public, and ergo you can have the list of different New York Notaries Public under the different counties in New York State. If you know personally of any notary public, type the complete name in the space provided for Find Notary by name. After writing in the space provided for, the list will be displayed for your information and proper guidance.